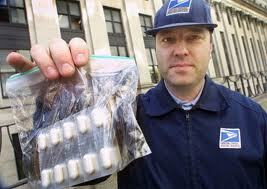 Why Are Postal Workers Violent Research Papers examine the causes of this crime and the potential solutions. Sociology or Psychology research papers examine phenomena that occurs in society or with human beings on several levels. In the case of violence among postal employees, this can be examined from a psychological or a sociological standpoint. In the 1600s, there was no mail delivery. People who wanted to write to friends, business associates or others simply depended on neighbors, merchants and Native Americans to carry their messages locally and between states. The first postal route went into service between Boston and New York in 1673, and in 1683 William Penn established Pennsylvania’s first post office. Britain gave a grant in 1691 for a central postal organization in 1691, and in 1737, Benjamin Franklin was appointed postmaster of Philadelphia. He becam e Postmaster General in 1775 and served until the following year. The Postal Service grew steadily through the 1700s, and the office of Postmaster General achieved cabinet-level status in 1829. By 1966, the amount of mail crossing the country or being sent intra-city was so overwhelming that in Chicago the mail actually stopped moving. The federal government enacted sweeping reform provisions, and on August 12, 1970, President Richard Nixon signed Public Law 91-375 that provided better facilities and working conditions, pay raises, and a better promotion scale for workers. At that same time, the Post Office Department became the U.S. Postal Service, and also became an independent entity of the executive branch of the federal government. Still, though more efficient because of updated facilities and work methods, the load of mail continued to plague postal employees. Eventually, the pressures to get the mail delivered on time led to more autocratic and demanding managers within the service, and in the 1990s violence began to erupt at various locations across the country. Between 1983 and 1993, the average homicide rate for postal employees was .63 per 100,000 workers – about on a par with the national average for all workplace homicides. The major difference was that in other workplace homicides, there were numerous causes. With postal employees, their acts of violence were deliberately and narrowly directed at their supervisors or fellow employees. As the number of homicides grew (there eight incidents in the mid-1990s alone), researchers began studying whether there might be a link between the acts of violence and management style. What authors proposed was that postal managers demanding postal workers adapt to change that was sometimes radical technologically, and also produce more work in a rapidly changing environment contributed significantly to a form of “social disorganization” that provided the conditions for violent acts. An author maintained that in an authoritarian work organization, such as the Postal Service, such management style undermines a person’s status, honor, and even his or her sense of self-control, especially when large and sometimes complex technological changes take place. This, in turn, is one major cause of postal violence. Hygiene Theory - Hygiene Theory research papers from professional writers on employee motivation topics. Behavioral Management Theory - Organizations therefore have the need, at times, to motivate and provide job satisfaction for employees. Organization of A Business Research Papers delve into the importance of employee and management relationships. Paper Masters writes custom research papers on Why Are Postal Workers Violent and examine the causes of this crime and the potential solutions.